Summer Nights on Madison Street with "Authors under the Awning"
LIBBY HELLMANN -- Book signing with mojitos! Libby Hellmann, a local literary star with an international reputation, signs her newest thriller. Sure to be a major bestseller, it’s a lush story about Cuba on the cusp of and after the revolution, and lovers whose stars are tragically crossed with the complicated politics of the Cold War. Adding to the atmosphere of her signing, the author will serve mojitos, one of Cuba’s most famous native drinks. A thriller set largely in Revolutionary Iran. A young woman in Chicago falls in love with an Iranian student who romances her with Persian poetry and more. She moves to Tehran to marry him, but the revolution happens around them, turning her world and her values upside down -- to the point where she's accused of killing her husband. After the death of her ex-husband, things are finally returning to normal for Kate Conway-so normal that she's gotten a little bored. Out of the blue, the television producer is offered a documentary gig about lifers in a state prison. Kate jumps at the chance. The only problem is that she's also just been asked to produce a reality show about the opening of a new restaurant-one backed by Vera, her dead husband's mistress. Reluctantly, she agrees to both. But when one of the restaurant's investors is murdered and Vera is the chief suspect, Kate must ride a treacherous psychological edge, relying on the minds of death row killers to help her solve the case. Libby Fischer Hellmann discusses Set the Night on Fire. ; Frances McNamara discusses Death at Pullman. ; Michael Harvey discusses The Third Rail. Libby Fischer Hellman reads from Set The Night On Fire. Libby Fischer Hellmann signs Set the Night on Fire. Libby Fischer Hellmann discusses Doubleback. Libby Fischer Hellmann is a LibraryThing Author, an author who lists their personal library on LibraryThing. Libby Fischer Hellmann's book Chicago Noir: The Classics was available from LibraryThing Early Reviewers. Libby Fischer Hellmann's book Doubleback was available from LibraryThing Early Reviewers. Libby Fischer Hellmann's book High Crimes was available from LibraryThing Member Giveaway. Libby Fischer Hellmann's book An Image of Death was available from LibraryThing Member Giveaway. Libby Fischer Hellmann chatted with LibraryThing members from Nov 30, 2009 to Dec 11, 2009. Read the chat. 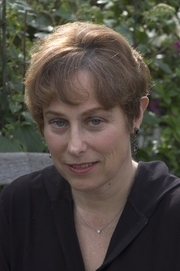 Libby Fischer Hellmann is currently considered a "single author." If one or more works are by a distinct, homonymous authors, go ahead and split the author. Libby Fischer Hellmann is composed of 3 names. You can examine and separate out names.